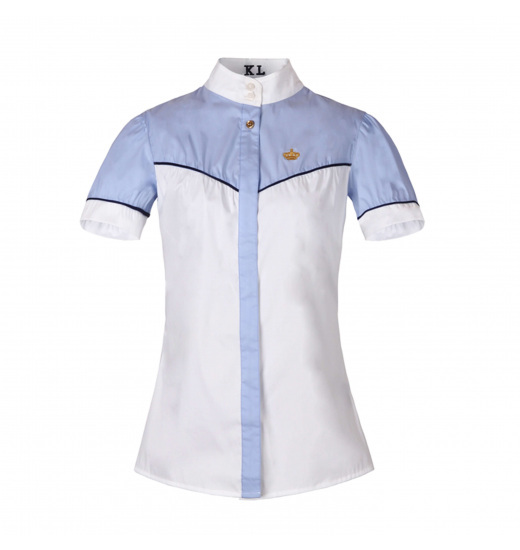 Ladies show shirt with a white collar. 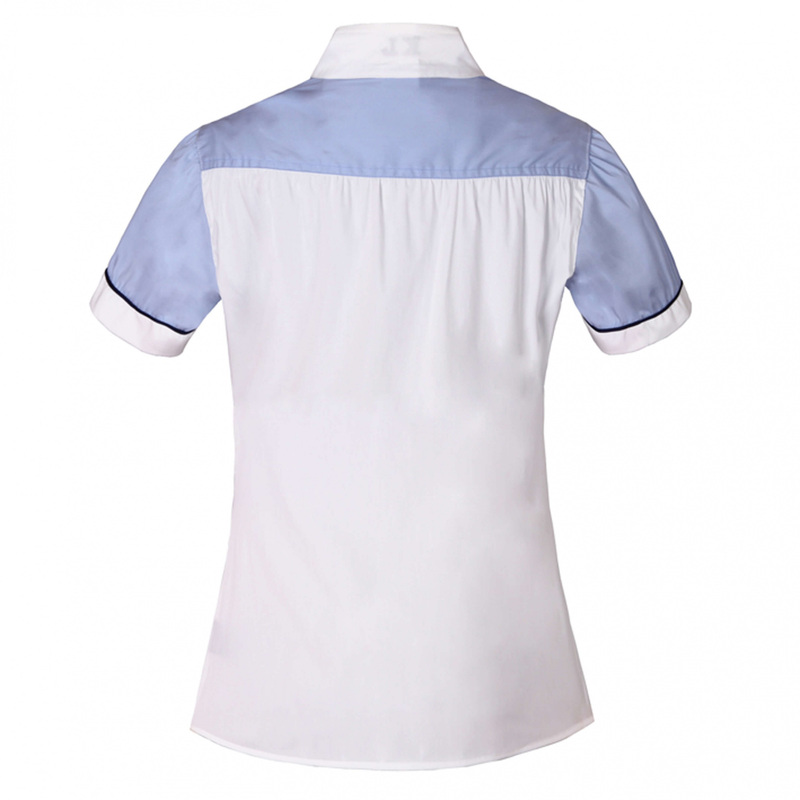 Made of high quality thin, breathable material. Well fitted. 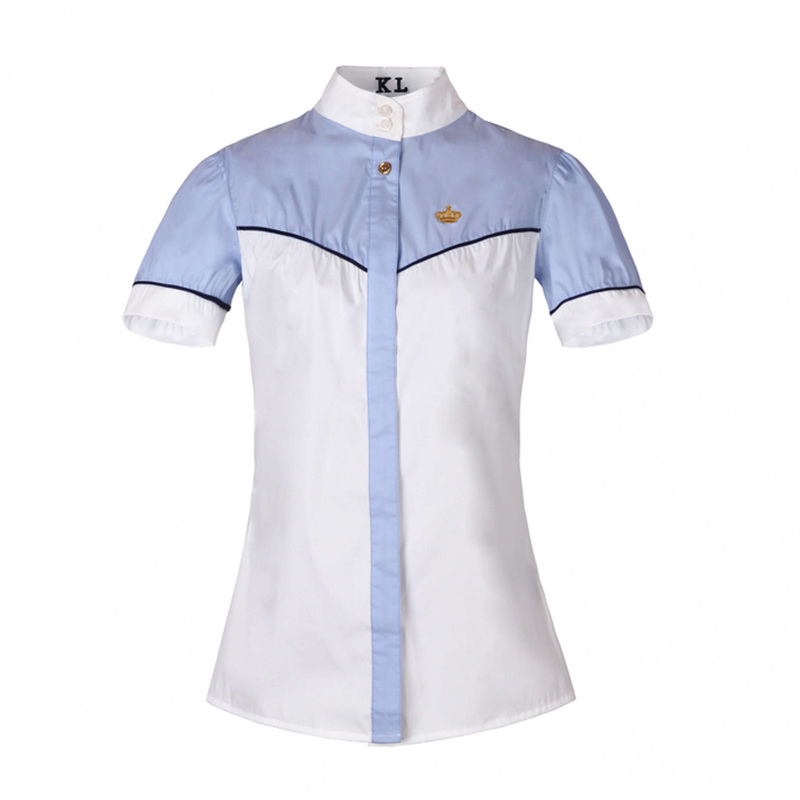 It gives great freedom of movement and greater comfort of riding. Perfect for spring-summer season.